The end of the world is around the corner as forces of evil heartless zombies keep coming to ruin the world. A war race against time is definitely on now to stop the Zombie pandemic that is threatening to destroy the whole world population. All started by a virus gone wrong in a laboratory fighting for humanity, yet it went wrong and in turn destroyed the humanity they first planned to fight for. Virus has gone viral and turned a normal person become a fearless zombie that sees nothing but human’s blood for the species’ survival. 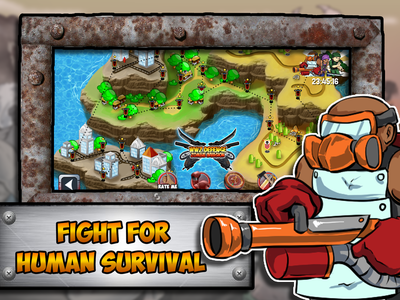 A great hero is desperately needed to stop this evil zombie invasion and defend the remaining helpless population. 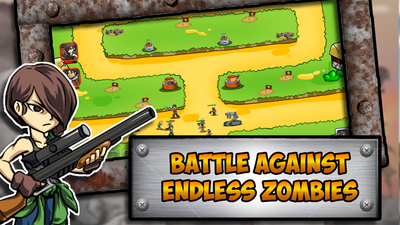 WWZ Defense: Zombie Invasion is a tower defense game that challenges all the great strategic gamers out there. Your mission is to build great tower defense plan to defend the remaining world population and fight against the zombie attack. Great strategy skills is required as the zombies evolve from time to time. Stronger and stronger with more special killing and invasion skills. However, not to worry, gamers are also well equipped with many weaponry such as sniper that attacks one unity at a very long range. It can effectively fight against both infantry and machines. 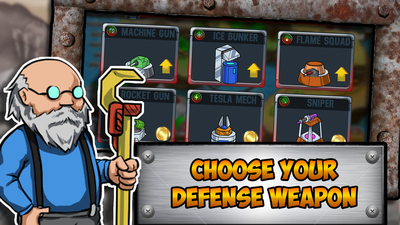 You can definitely enjoy killing many zombies at once with our weaponry. Other weaponry include T-Mech, Flame Squad etc. In addition, your fighting powers are also accompanied by many great fighting heroes that are trainable such as Gerry Lane, Big Ley, etc, all of whom own special fighting skills that can be greatly utilized to defend or attack the endless zombies. Play along to overcome incredible odds with great strategy and wisdom! 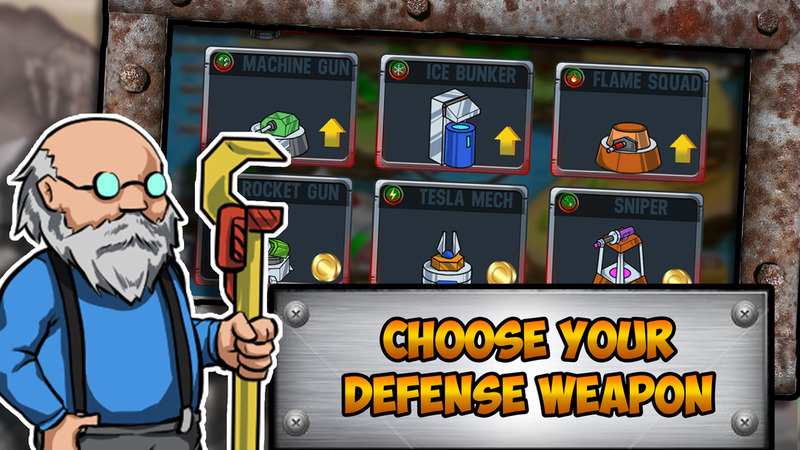 Download WWZ Defense: Zombie Invasion now to stop the final zombie devastation from happening. 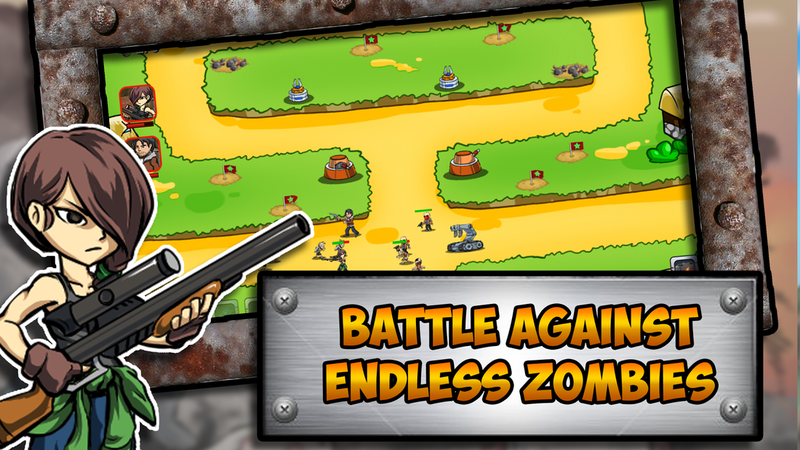 Allied with other great heroes out there and stop the zombie invasion right away. Play for free and enjoy the greatest addicting game fun you will ever have.